Home Lifestyle Health and Lifestyle: Why are our children getting fatter? 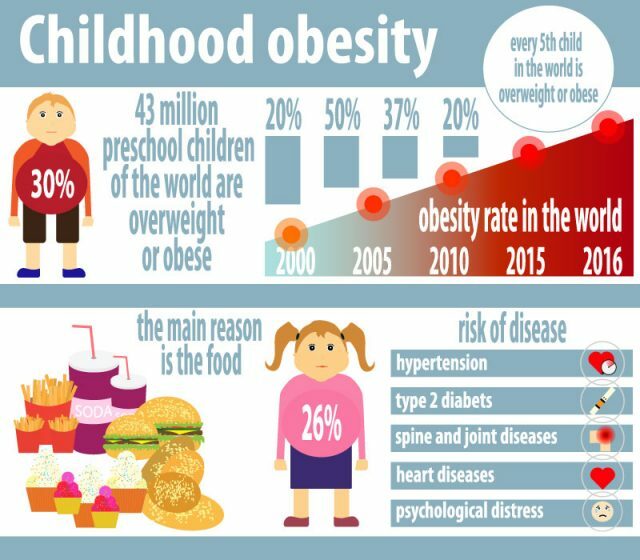 It is a fact: obesity is on the rise and, more importantly, the younger generation are being affected the worst. Recent studies have shown that one in three children are not active enough, doing less than thirty minutes exercise per day. This is far below what is recommended by government guidelines and it prompts some worrying concerns, ones which the UK – and other countries where obesity is turning into an epidemic – must now tackle if we are to produce a nation of healthier, happier people. We have heard numerous reports recently that children are becoming increasingly depressed and studies have shown that exercise and mental health are intertwined. Exercise does not just bring about a healthier, fitter body, but also a healthier, fitter mind – and, most importantly, a happier one. With more and more children being prescribed anti-depressants and becoming withdrawn, shutting themselves away in their rooms, one has to wonder why this has happened. There are, it seems, a variety of reasons. Smart phones, tablets, laptops, computer games – screen addiction is not uncommon. The mind may be getting plenty of exercise while browsing social media, the latest articles or chatting to friends, but this is completely at the expense of the physical body, which can remain immobile for hours on end; more often than not, this activity is done indoors, usually in a private room where one will not be disturbed. It is easy to sink into the online world and forget the external one, but a grave consequence of this is that when one world preoccupies the mind, the other is very often neglected. Rather than going outside and kicking a football around, kids will instead play games on their tablets, swiping their fingers away at the screen, which boots a virtual football around in a virtual world. The increase in technology and also what appears to be a national aversion to health food has undoubtedly had a detrimental effect on the younger generation. This combination has led not only to sluggishness, but also a laziness that dominates the mind; most youngsters would rather pick up a phone than pick up a book. Schools up and down the country are being encouraged to encourage children more to enjoy the great outdoors, with rowing being one particular hobby that kids are enjoying more than any other. Another issue that was not so prevalent fifty years ago was the problem of safety, or rather, the reaction to it; these days, society is hyper-vigilant to the dangers outside and the predators that lurk around. This has led to a very protective era that naturally wants to protect its youngsters, and cities that are becoming increasingly populated, which in turn pushes forth the agenda to keep youngsters inside. While understandable to want to keep the younger generation safe from harm, it appears to be a messy sort of solution which has resulted in an encouragement of staying indoors, with entertainment provided purely on a cognitive basis. A striking imbalance has been created within our society; if it is not addressed by both the individual and governments alike, we run the risk of creating a civilised world which is reminiscent of that funny but frightening film, Wall-E.